This isn’t surprising at all. Obama has been all for destroying America. Now he is encouraging these violent anti-Trump protesters to keep rioting. President Barack Obama has little sympathy for President-elect Donald Trump when it comes to the protests against him, and he offered up some advice for his successor: Get used to it. Trump and his allies have lashed out at the protesters that have surged across the nation, accusing them of being paid demonstrators ginned up by the media. But Obama said on Thursday that the principle of free speech is a core tenet that must be respected. 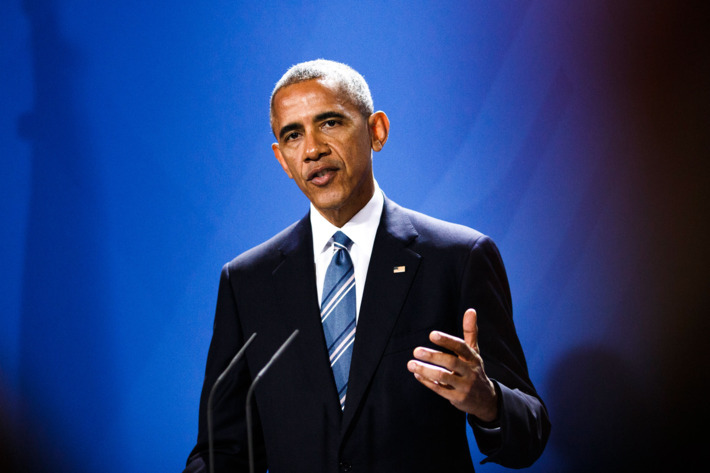 “I can say across Europe that many principles that have been taken for granted here around free speech and around civil liberties and an independent judiciary and fighting corruption — those are principles that, you know, not perfectly but generally we have tried to apply not just in our own country but also with respect to our foreign policy,” Obama said. The president’s remarks were his most extensive yet on the protests that have broken out in cities across the United States since Trump’s election in cities such as Los Angeles, New York, Portland and Washington, D.C.
Trump went after the demonstrators in one of his first statements as president-elect. “Just had a very open and successful presidential election. Now professional protesters, incited by the media, are protesting. Very unfair!” Trump tweeted on Nov. 10. The Trump transition team has not presented any evidence that the protesters are being paid.